The FA Charter Standard kitemark was launched in 2001 and now reconises 4,500 clubs, with 460 advanced level Community Clubs and 120 leagues. The kitemark is a major focus of The FA’s £200 million FA National Game Strategy and has improved coaching, the number of girls’ football teams and safeguarding children procedures. 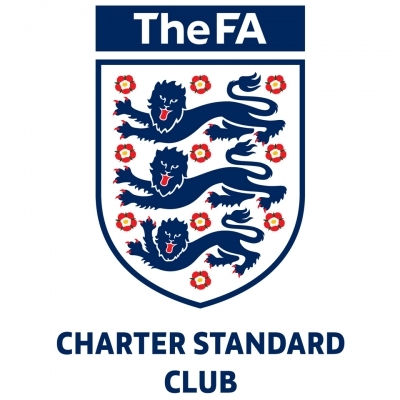 The FA Charter Standard League is a kitemark that sets an operational benchmark for FA sanctioned leagues. It was launched in 2009 and already 120 leagues have achieved the kitemark, that’s ten per cent of all sanctioned leagues. Feedback from these leagues about The FA Charter Standard League kitemark (CSL) and the process they have been through has been extremely positive. Many leagues have indicated that the CSL process has brought them much closer to their parent County FA and increased their awareness of human and financial resources available to deliver initiatives. • 60 percent of all teams in the league are FA Charter Standard Clubs and to hit 100 per cent within two years of attaining the award. New teams joining a CSL have a year to become an FA Charter Standard Club. • Divisions in youth leagues should contain of no more than 12 teams. • The League must have a development plan that reflects the needs of its member clubs/teams. • The league must use a web-based results/fixtures/tables system, preferably FULL-TIME (although this is not mandatory). CSL primarily offers leagues a process to raise standards within leagues and a practical means to deliver initiatives in line with the needs of member clubs. The base criteria ensures that clubs within these leagues are consistent in delivering Respect, have a minimum Level 1 qualified coach with every team (Mini Soccer and youth football only), and have a qualified first aider. However for most leagues this is just the foundation on which they then build significant positive change and initiatives through the implementation of a league development plan.